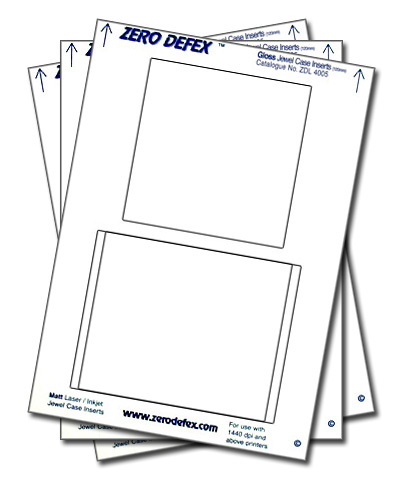 Zero Defex ZDL4005 Gloss CD jewel case inserts. Micro perforated, just print and pop out! Free Software & templates available on request.